50 and Thoreau . . . When your personal collection of years add up to fifty, most since youth spent observing, noting, sketching, and writing on the subject of wildflowers, there comes still the unexpected, the miraculous appearance of wildflowers in unexpected places. Two species in bloom, side by side, where I stood in the Morgan Stanley Gallery West. Two species preserved, pressed, by Henry David Thoreau. There, in the Morgan Stanley Gallery West, two wildflowers, not of Manhattan, yet in Manhattan, and me there to study as I have in situ the native and immigrant wild flowering plants along the Hudson River. “This Ever New Self: Thoreau and His Journal” is an exhibit on view at the Morgan Library and Museum” until September 10. Morgan Stanley Gallery East, the opposite wing, opens dedicated to “Henry James and American Painting”. Here one panel of the latter frames a view of three poppies, each in a stage of bloom, rendered by Elizabeth Boott Duveneck, artist wife, friend of painter Frank Duveneck, friends both of James. Her dark colors and the narrow verticality of the frame give the flowering an added effect. Product details worth repeating. The book in hand holds a handsome object, textured paper jacket, illustrated in excess of 200 precise pen and ink portraits of the Concord plants studied and rendered by Thoreau through preservation and writing. Barry Moser, the artist, here has illustrated these pages with great pacing and eye appeal. The editing, by Geoff Wisner, traces Thoreau’s journal entries along a clever chronological order by month rather than individual year. The book’s window of start to finish begins with March entries and ends with a scattered few in frigid February. We read far fewer posts from “February” than other months. The effective editorial path this book follows serves to support Thoreau’s prodigious, primarily self-read expertise in botany. The book has for me inspired new looks at Manhattan’s familiar flowering faces knowing the total in the end here at Wildflowers of the West Village is as it was for Thoreau and his place and time rendered in the very fine Thoreau’s Wildflowers published by Yale University Press. The photo takes the place of a collection of pressed specimens for me. Storage, even archival, is a premium in Manhattan. The words: words of description, of documentation, on occasion of poetry and opinion, are a performance ground to play, experiment, seek out new metaphors, pursue the coinage of new words, logical and poetic, neologisms based on a solid history, with ethics, originality, and clear purpose persistent. Not a manifesto, just how I go, now to continue beyond fifty (50! 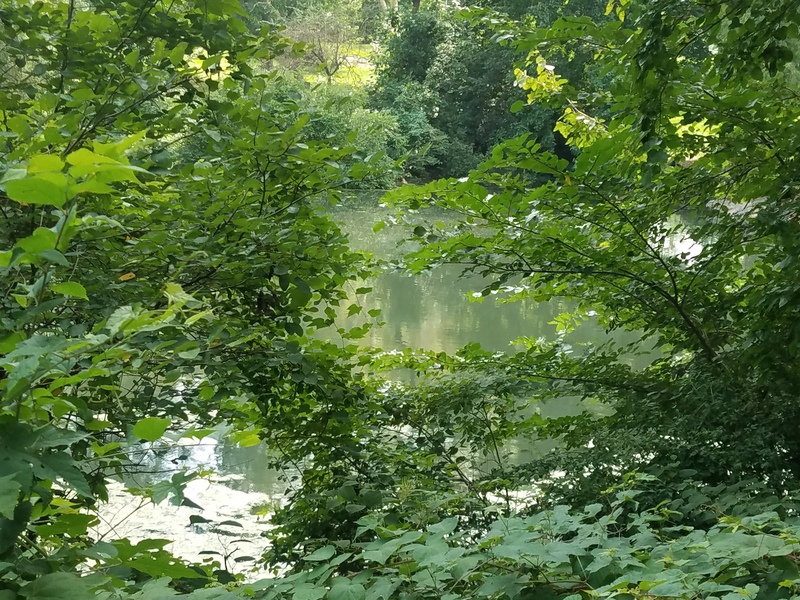 ), adding years, collections of months along the West Side of Manhattan, where urban wildflowers, places and times where nature and the city intersect, inspire still the want to look and to know and to write for readers. Ray Angelo’s essay, “Thoreau as Botanist”, completes the introduction and holds a cadence all its own. He makes clear Thoreau’s consistent interest and studied growth in the regional flora over his time. Sounds familiar, even to a contemporary author of fish stories who has read, even studied, Walden, as well as his first, A Week on the Concord and Merrimack Rivers. I submit as answer: all of his other work in between the saunters into the fields of flora. Wildflowers of the West Village: Where Nature and the City Intersect . . .
Small Fry: The Lure of the Little. Coincidence, perhaps, but I am honest when I say my own worded path had set its stone before such connections were made. I admit, long on my list, I entered the world of Thoreau’s work later than many. I can claim a fresher read than those who “read it in high school” at the least. An exhibit, ever new, can motivate one into thinking over specifics, or a broader subject, or perceived connections. For me, connection remains the accurate, relevant term. Perhaps a combination of passions – art, word, water, and wildflower – enjoyed, even loved, since childhood, can, when combined with persistence, write long passages in the manner of Henry James, or even precise florid prose on flora, all carried on a current, like a wave, and in a life lived somewhat parallel, at least in patches. The life of Henry David Thoreau, celebrated for many qualities, one of which was his appreciative and valuable study of regional wild flora. 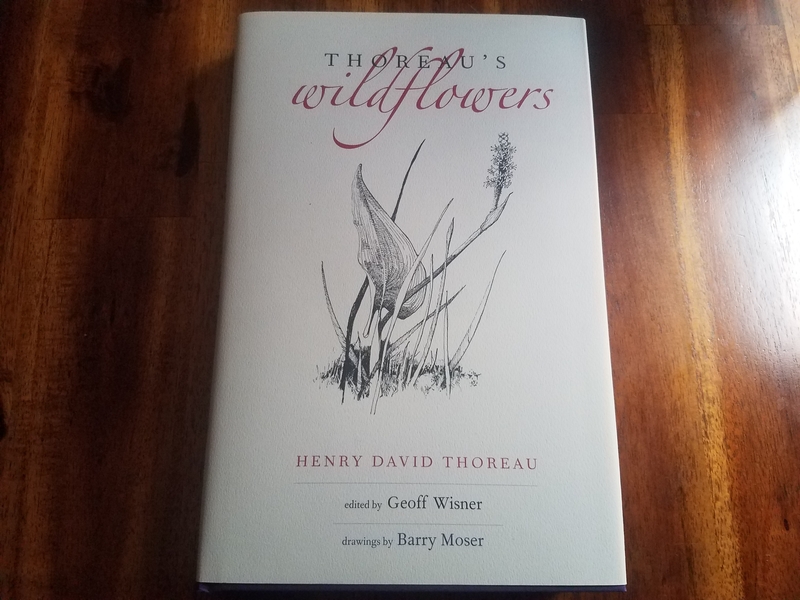 We read Thoreau’s Wildflowers” and find a connection to a life learned of, read of, lived with from time to time as I do continue with the Wildflowers of the West Village.